Many businesses try to cut costs by making their needed copies at the local copy center instead of purchasing a copy machine. While this is okay at startup, it doesn’t give you much room for growth. As you need an increased number of copies, the cost and time it takes out of your day may no longer be effective. Instead, think about getting a Brother color laser copier or Brother multifunction printer. Here are four examples of how Brother copiers can help your small business. If you require regular copies for clients or marketing materials, time is of the essence. Waiting until a clerk can take a gathered pile of files to the copy center can cause delays which can hurt your credibility. Wouldn’t it be better to make copies immediately when you need them? A Brother multifunction printer can provide you with the copies you need at a price you can afford. Most copy stores lease their copiers and pass the cost of that lease along to their customers by marking up the price of each copy. Individual copies would cost you less if you leased or purchased the copy machine yourself. Think of what you could save over time. Simply multiply your thousands of copies by the amount the copy store marks them up and you’ll see why it is in your best interest to get your own Brother color laser copier. Just one or two Brother copiers can create a more efficient office. Place them in a central location and let several departments use them simultaneously to ensure you are getting more use out of them. Your employees can get immediate access to the copies they need and you can be sure you are getting your money’s worth. Just remember to choose a Brother copier that can handle your printing volume. Larger multifunction printers are best for corporate environments with multiple users. A Brother multifunction printer or copier includes a wealth of features that can be helpful to your business. They are offered in color inkjet, laser/LED, color laser and monochrome laser options and many provide cutting-edge features such as security functions, wireless connectivity and built-in expandability. More and more small businesses are trusting their copy and printing needs to Brother devices. If you’ve outgrown the local copy center for your paper needs, it may be time to look into leasing your own copy machine. 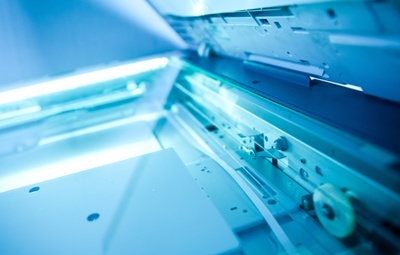 Brother copiers and printers can offer you many benefits as your business continues to expand. Visit Qualpath today to explore your options for the latest technology in the print world.